&dash; Faculty at School of Computer Science, IDC Herzliya. &dash; Postdoctoral fellow at Stanford University. &dash; PhD in Mathematical & Computational Biology from Tel-Aviv University. &dash; Programming with Python since 2002. &dash; Training and teaching Python since 2011. &dash; Excellence in Teaching Award from the Faculty of Engineering, Tel-Aviv University. &dash; Specializing in Scientific Python: NumPy, SciPy, Matplotlib, Jupyter, Pandas, Cython, etc. &dash; Experience building lightweight web applications and user interfaces. &dash; Based in Israel and California, available Worldwide. I enjoy solving and communicating complex problems and ideas. I develop and give Python programming courses with focus on numerical, scientific, and statistical applications. To enhance participant learning, all course material is fully interactive, using Jupyter notebooks, and all lectures include hands-on exercises. NEW! Introduction to Deep Learning for software developers and engineers. No background in machine learning or Python required! Contact me to be notified about future workshop dates. Browse the offered courses below or contact me for customized courses. “A group of us have taken Yoav’s Python for Engineers course during 4.5 days, as part of a process to shift from using MATLAB® as our main workhorse for R&D. The course was great for us, and covered many topics which would be beneficial in the future – from the basics of Python as a language and its various packages, up to more advanced topics like image processing, GUI building, and parallel computing. Yoav’s background as a researcher using Python makes the course very suitable for people looking to use Python for research. 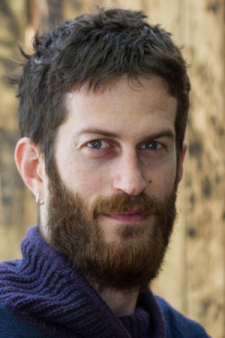 Not only is Yoav very knowledgeable in the intricacies of Python, but he is also a great teacher, who was able to provide valuable insights and answers to any questions. “Yoav gave PDC (Applied Material Israel) a Scientific Python Course for MATLAB® users in March 2016. As we are all scientific Matlab programmers, we challenged Yoav with in-depth questions regarding practical problems we are facing in our work. Yoav demonstrated very good and thorough knowledge in Python, he explained the material in a very methodic way, and used very nice practical examples and exercises. When he did not know something, he returned with an answer by mail or by the next lesson. “We attended Yoav’s Python for Engineers course and the course exceeded our expectations in many regards. Yoav is not only very professional and knowledgeable in the field of Python and all related packages, but he is also a very professional and clear instructor. The course really helped us understand basic Python and get familiar with many of the scientific packages and other useful tools (such as GUI, parallel computing, and other packages) available in Python. “Not one, but two groups of researchers from ‘Nova Measuring Instruments’ attended Yoav Ram’s course consecutively. This by itself can serve as a quality stamp. Yoav’s course is thorough, didactic, comprehensive, and very clear. It is exactly what anyone would need to start developing in Python, or make the transition to Python if you are a MATLAB® addict. The course is intended for engineers with MATLAB® experience that are interested in applying their knowledge and skills using the Python programming language. The course combines practical programming skills in the Python programming language with a comprehensive overview of major numerical, mathematical, and statistical libraries. The course is taught entirely using interactive notebooks and includes hands-on exercises. This one day workshop is intended for software developers and engineers interested in a quick introduction to the Python programming language and its use for data science. The one day workshop combines an introduction to the basics of the Python programming language with a preview of the common tools used for data analysis and visualization. The workshop is taught entirely using interactive notebooks and includes hands-on exercises. The workshop is intended for developers and engineers with Python experience interested in machine learning and deep learning with Python. The one day workshop provides an introduction to common tools used for data analysis and visualization in Python and to libraries used for machine learning (scikit-learn) and deep learning with neural networks (TensorFlow). The course is taught entirely using interactive notebooks and includes hands-on exercises. The course is intended for researchers in biology and medicine interested in extending their knowledge and skills in programming and computational biology. The course was developed and taught at the Faculty of Life Sciences in Tel-Aviv University during Spring semester 2015. The course combines practical programming skills in the Python programming language with computational modeling and analysis of biological data. For example, students do sequence data analysis, mathematical modeling of population dynamics, and statistical analysis and visualization of experimental and observational results. The course is intended for engineers data scientists interested in applying their knowledge and skills using the Julia programming language. The course combines practical programming skills in the Julia programming language with an overview of major numerical, mathematical, and statistical libraries. The course is taught entirely using interactive notebooks and includes hands-on exercises. Copyright © Yoav Ram 2016-2018. All Rights Reserved.